ISLAMABAD: Pakistan in return of giving its land to refugees received the scourge of terrorism, drug trafficking and arms smuggling, said Institute of Strategic Studies Islamabad (ISSI) Board of Governors Chairman Ambassador Khalid Mahmood. “What is needed is to find ways and means to repatriate the refugees. This is the best solution,” he said at a Public Talk on Afghan Refugee Situation: Contextualising the Role of Pakistan and UNHCR, organised by ISSI under its lecture series. The diplomat noted that for repatriation, peaceful conditions are needed in Afghanistan. Creative solutions in terms of policy are needed in this regard, he said. The Pakistani government is fully conscious of the difficulties and it believes in policies of voluntary repatriation in safety and dignity. ISSI Director General Ambassador Aizaz Ahmad Chaudhry reminded that Pakistan has been home to the largest prolonged refugee population in the world. 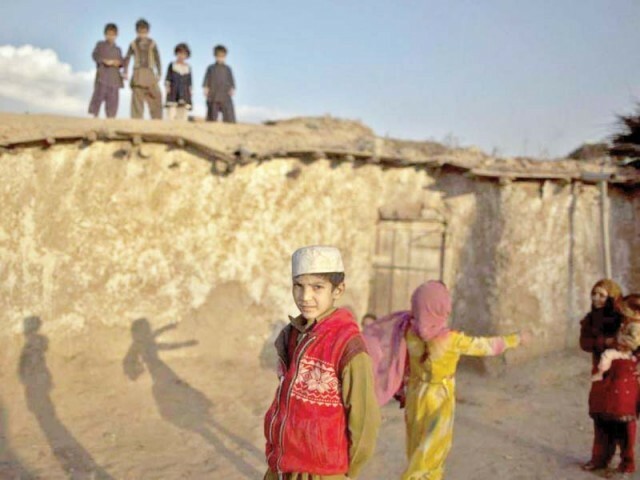 95 per cent of Afghan refugees are residing in Iran and Pakistan. “While on one hand, Pakistanis are proud that they opened their homes to Afghan refugees in their hour of need – at a huge cost to their own economy. On the other hand, Pakistan continues to receive hostile rhetoric from across the border,” he said. Pakistan knows it cannot be very secure until Afghanistan is peaceful. This can only be attained with an Afghan-led and Afghan-owned comprehensive political solution, Chaudhry said. He went on to highlight two essential elements: border management to ensure terrorist elements do not return to Pakistan; and measures to ensure that concrete repatriation efforts take place. Giving the Afghan refugees ownership to their lands with simultaneous investments by the international community can be important steps in this regard, he said. “We live in a world of closed borders, where xenophobia is rising and rich countries are turning away migrants and refugees. In this regard, it is paramount to highlight that besides acknowledging the extraordinary solidarity exhibited by Pakistan in the last 40 years, it is equally important to identify how this solidarity has contributed to regional stability,” said UN High Commissioner for Refugees Filippo Grandi. Grandi stated that the modern world is one of multiple challenges and the situation is becoming increasingly complicated in terms of human consequences. Over 68.5 million refugees are displaced around the world – out of them 25 million of them are registered Afghan refugees. The Afghan refugee problem is a big part of the world displacement problem today making it one of the most prolonged issues. However, prolonged should not mean forgotten, he said. The High Commissioner raised concerns about Afghanistan’s security situation and the Afghan government’s inefficiency in implementing policies. Weak implementation has resulted in poverty, unemployment, now compounded by drought. However, recently the policy making is becoming stronger and filtering down into legislative work. Another positive sign is Afghanistan’s increased dialogue with its neighbors because this means that many issues which were previously confined often to public statements can now be discussed constructively on forums. In a world stage that is becoming very problematic, countries such as Pakistan that showcase solidarity and are an asylum for refugees in times of war are very much needed, he stated. He highlighted two points: Firstly, contrary to popular perception, UNHCR has tried to focus on solutions. Out of the limited solutions on the matter, the seemingly most desirable solution at the moment is successful repatriation. Secondly, UNHCR has tried to mobilise international resources to help communities hosting the refugees, particularly in border areas – 10 million people have benefitted from this initiative. In terms of moving forward, Grandi stated that refugees are an international responsibility which should be shared. He said that the UNHCR has a solution strategy for Afghan refugees in place meant to reinforce sustainable conditions for voluntary return. All stakeholders must strategically move towards a vision of a region where Afghans can move in a controlled manner as any other population, and become an asset for neighboring countries and for Afghanistan itself.